We all know that there are many benefits to teaching kids to write, but maybe you are wondering how to encourage more creative writing activity from your child. 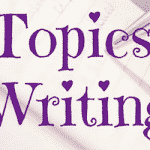 This article offers you several kids creative writing ideas. Encouraging children to think imaginatively and at the same time allowing them to practice their writing skills can lead to many positive outcomes such as increased self esteem and self confidence and a deeper understanding of oneself and one’s skills. 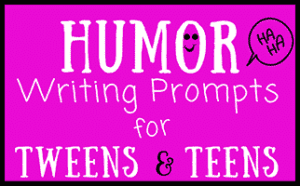 Kids Creative Writing Idea #1 — Look for creative writing software, apps, programs and the like. Children nowadays are not like kids in the past. Computers and technology are a part of their everyday lives, and you will want to use this fact to your advantage. Indeed, you’ll want to help your child learn how to use technology in a balanced way–some use for pure fun and entertainment and some for learning and growth. In order to help your child develop his writing skills, you can let him practice on a laptop or an iPad. (Aside from allowing him to practice his writing and imaginative skills, you are also letting him improve his typing and keyboard skills.) There are some really great writing apps for kids out there! If you do not have an iPad or other tablet, check for kids writing technology resources at your public library or school library. With the use of technology, you will want to limit a child’s exposure, however, as too much computer time may lead to eye strain and poor eyesight. Just remember to send your child outside to play from time to time! 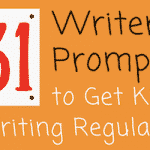 Idea #2 — Formulate writing games for your child. Children enjoy playing games, and writing games can be a great way to help them engage in and enjoy creative writing on a deeper level. An example writing game for kids you could do with your child is to share writing ideas or a list of random words and then instruct him to include them in his creative writing. If he is able to string these ideas together successfully and make a story then he has won the game. Give him a compliment or reward for a job well done. 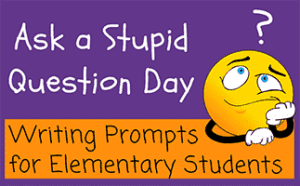 If you prefer online writing games, Scholastic has some great writing games for kids on their site. Check them out! 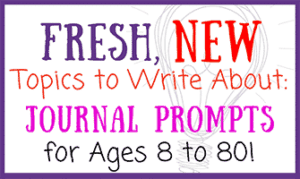 Idea #3 — Encourage your child to write about something he (or she) has experienced. 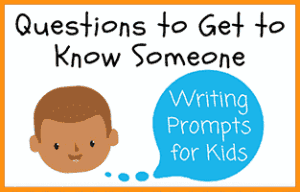 Personal experiences can be a great way to kick-start a kid’s creative writing process. This can also help them to express their own thoughts and feelings in a safe way, especially in cases when a child experiences difficulty doing so. Writing creatively and in a fictional way about personal experiences is also considered therapeutic. On the other hand, in cases where the experiences lean towards a more positive concept, writing about personal experiences can be a great way to keep a memory alive. 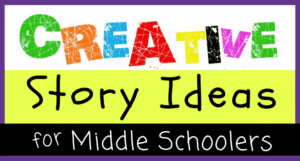 Idea #4 — Create an online blog for your child to publish his or her work. For more tech savvy and outgoing children, you can create a kid’s blog page for them to publish their ideas. A safe and simple blog for kids resource is kidblog.org. Publishing a blog will help some children to gain confidence by putting their writing out there for the world to see and to comment on! The mere act of going public with one’s writing helps a child to become proud of their own work. Oh, and be sure to share the blog with relatives, teachers and neighbors and ask them to comment and give feedback on your child’s writing. Idea #5 — Never forget to compliment them for a job well done. Positive reinforcement plays a big role in a child’s writing confidence. If they feel like they are doing something good and are being appreciated then they are much more likely to continue doing it. In order for your child to appreciate their work and the effort they have put into producing a written creation do your best to remember to compliment them. A reward system might also be beneficial. When your child makes mistakes, be sure to use constructive criticism so that your child does not feel discouraged. Avoid harsh criticism as it tends to severely hinder the creative process. 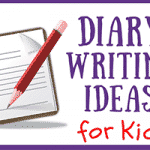 There are a lot of different ways you can approach kid’s creative writing in order to make it an enjoyable process for both you and your child. 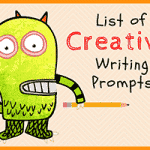 These 5 great kids creative writing ideas are sure to inspire you in one way or another and to help your child develop and refine his writing ability. Just be sure to make learning to write — creatively or otherwise — fun, enjoyable and meaningful for your child. By doing so you’ll engage their interest and keep their attention over time.